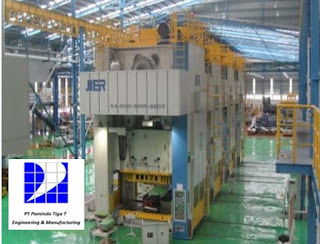 PT Pamindo Tiga T was established on 9th June 1975 as a Joint Venture Company, For Over Thirty Three years we gather experiences and expertise in manufacturing for many kind industries . Our main business line is manufacturing Automobile Components, and Motorcycle Components, More over, we also provide the engineering service to manufacturing Dies, Jigs and Machining. PT Pamindo Tiga T has two factories now, one is Tangerang factory located at Banten , and the one is Pulogadung factory located at east Jakarta, Our Tangerang factory specializes in manufacturing motorcycle components and engineering services. Our Pulogadung factory specializes in manufacturing Automobile components, and Engine Diesel Components and engine Diesel Components for agriculture Machine.